Bravissima. 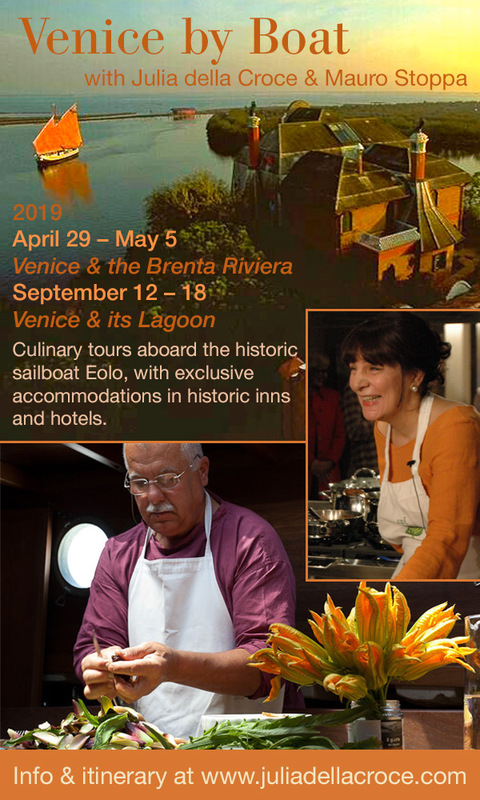 You have shined your knowledge and intelligence on an ingredient as unfamiliar to American cooks as it is sought after by the cooks of the Veneto. And by the Emiliani as well who use it to stuff cappellacci. 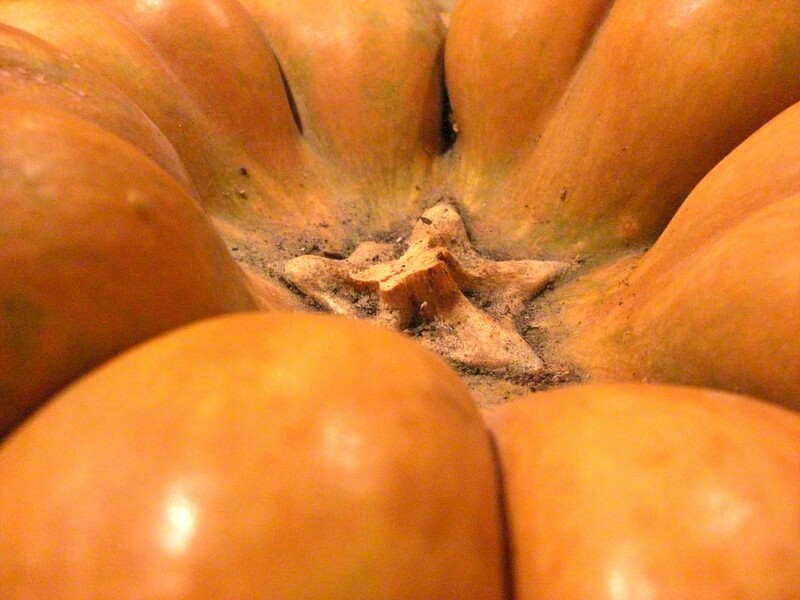 Marcella substituted orange-fleshed yams, which come close to the zucca’s taste, and called them Cappellacci del Nuovo Mondo. Every year, when we had not yet installed an elevator and lived 82 steps above sea level, Maurizio Martin of the restaurant Da Fiore would have a well-muscled messenger hoist an immense zucca baruca on his shoulder and climb the 82 steps up to our door. Thank you, Victor, for this sweet memory of Marcella to savor. Thank you for this Julia. How timely, at the moment I am in the middle of exploring new and interesting ways of preparing “zucca”, not a favourite of mine in the past, however, I am learning it’s adaptability to all sorts of things besides pie! I think as children we come to dislike certain vegetables because of how they were prepared. I give thanks for my travels in Italy to opening my eyes to the possibilities…I still don’t like parsnips! Maybe my chef friend may do something to convince me as she did with fava beans and fresh chick peas! I hope you like the recipe. I love it. Yes, the Italians overall love their zucca. 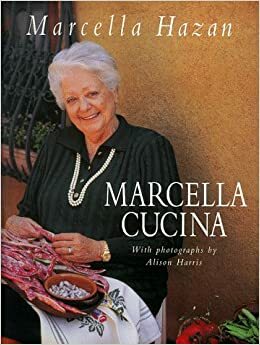 Even simply roasting it until it is browned and collapsing in its skin (cut it into slices first and take out the seeds, rub with a bit of olive oil), and serve it with a sweet-and-sour sauce like the Venetians do. It’s so easy and tasty! Somehow we missed one another and overlooked each other’s comments in the past. I posted several of your recipes on my blog already and will continue to do so, as your cookbooks are a great inspiration for me. Since you agreed so kindly to participate on my blog a long time ago, I hope that you would still be interested to take a part, maybe as a guest writer? I’m open to your suggestions, as I have some of mine as well.